Cliché has it that in print, you never get a goodbye issue. I believe it’s emblematic of the exceptional nature of The Aquarian that this is my second. This paper has been and continues to be something special. I’m sorry to be leaving it. When I came back as Managing Editor in August 2010, I knew the situation was much changed from when I’d vacated the position in 2007. I left before the economy collapsed. The Aquarian ran as 40 pages each week, and it was still a tragedy having cut it from 48. The headline of my last Deleted Scenes column (I just looked it up) was eerily similar to this one. Print media as a whole is in a different place than it was seven years ago. So am I. Maybe it’s just time. I didn’t think so this week. Maybe I’ll feel differently down the line. I’ve spent years putting out longwinded rants, so I’ll keep this quick as much as I can. I want to thank Chris and Diane, the publishers of this paper, for their years of guidance and support. The environment in which The Aquarian exists is as unique as the paper itself, and as the duo at the forefront in keeping it going, they have no easy task. I do not know and cannot imagine the trials they’ve seen or those they have coming, but I know their hearts are in the right place and that they have done and will continue to do all in their considerable power to move The Aquarian forward. Thanks to Giorgio, who will take over as editor with my every confidence in his preparedness to do so. His cool head, sharp wit and ability to say “no” will serve him well in this position, I have no doubt. We’ll talk soon. And to Andrew Magnotta, who preceded Giorgio in the role of Associate Editor, my deepest appreciation and respect. To Angela and Deb in production, whose vigilant stewardship of lunch on Mondays and Fridays is matched only by their ability to turn the disjointed mess of copy and images into an issue each week, using what I can only assume is magical means. To Michelle, whose work I’ve never envied and for whom I carry nothing but respect. To the regular columnists, who stuck with this paper even when word came down last year that we could no longer afford to compensate for their contributions. To the interns who’ve come and gone and most especially those who’ve stuck around and will continue to stick around as freelancers. To Casey and Dee from AW Media, to whom I was regrettably rude in no small part because I saw that the future they represented rendered me a relic of the past. Nobody’s fooling themselves about the direction things are headed. Part of me wanted to be the last editor this paper had, to be there to hold its hand at the end, to be the last one out of the office. It’s selfish. I’m sorry I won’t get to do that. I’m sorry for a lot of things, but that’s a different column, and one I won’t get to write. I recall from 2007 it was a long time after I left this job before a Sunday passed that some part of me didn’t feel like it needed to write Deleted Scenes. No doubt that will be the case again. If you have, thanks for reading over these last years. If this is the first time you’re picking up the paper, I’m glad that you’re seeing my last issue. 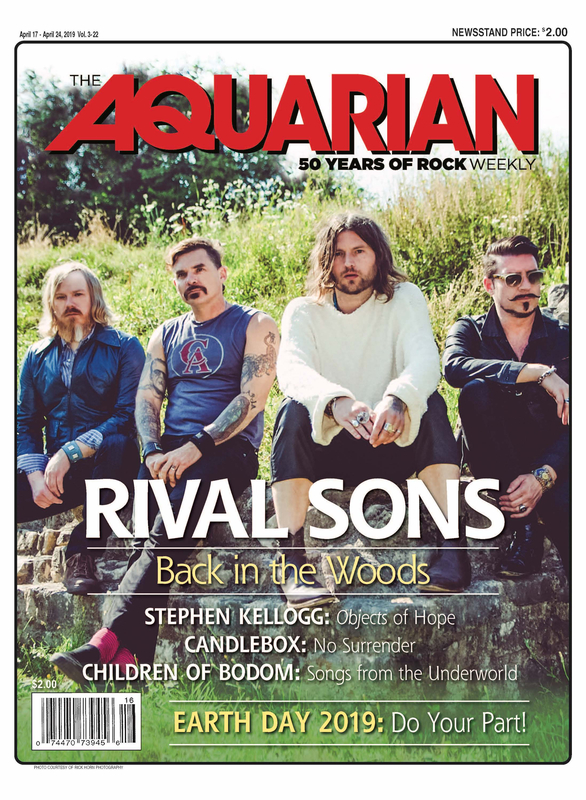 I’m glad too that my last issue has my favorite band of all time—Black Sabbath—on the cover. I wish I could say I planned it that way. Sometimes these things just work out.